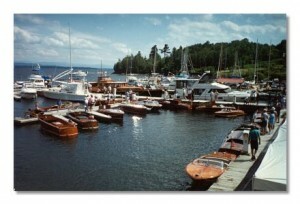 The Essex Marina service dock is located in the middle of the marina complex. Non-Ethanol gasoline and Diesel fuel are available at the service dock. There is also a Pump-out station and a Port-a-Potty wash-down along with potable water and electric access located there. The Essex Marina docking facilities are to the north of the service dock and consist of 10 ft. wide fixed wooden crib docks and floating aluminum docks. 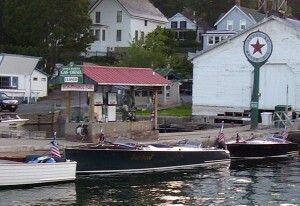 The Essex Marina Ship’s Store which is supplied with marine supplies, gifts, t-shirts and some groceries is right next to the gas dock. The marina restrooms, laundry and canopy covered Barbecue deck is located just north of the ship’s store. The Essex Marina is renown for the cleanliness of it’s showers and restroom facilities. Copyright © 2019 Essex Marina. All rights reserved.